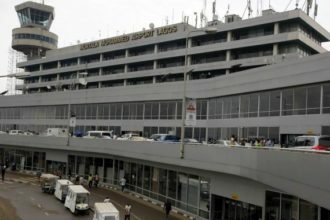 It was an unbelievable scenario on Sunday morning at the Nnamdi Azikiwe Airport in Abuja when two staff of Arik Air beat a man to torpor in the presence of his wife and children, for simply expressing his annoyance at the cancellation of his scheduled flight. According to an eyewitness, the man, in company of his family, went to the desk of the Arik staff to get a boarding pass but the staff answered him harshly, saying: ‘we have cancelled all the flights for today’. When the man tried to enquire the reason the flight was cancelled, the staff told him “Oga no disturb us. No be only you de travel”. The man, who was apparently furious about the situation, asked for the refund of his money. 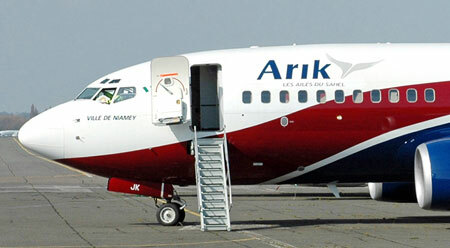 But instead of Arik staff to give him the refund he requested, two of the airline’s staff descended on him and gave him the beating of his life, but for the timely intervention of other passengers and some of the Airport’s security officers, he would have been beaten to death as his helpless children and wife witnessed the inhuman treatment given to their father and husband. Many passengers were astonished at the unbelievable scene, of how a customer was treated like an animal by the Arik staffer and asked for intervention of FAAN officials to investigate the situation. A staff of the airline blamed the problem on lack of aviation fuel for the cancellation. ADEKUNLE GOLD – THE GOLD SURPRISE !